Expert HVAC Service 24/7. Your HVAC Service Professional in Purkins Corner HVAC Repairs. Freon Doctor is the areas leader in HVAC Service. Our dedicated office staff and expert HVAC technicians can provide you with the most affordable and reliable solution to any of your HVAC service needs. 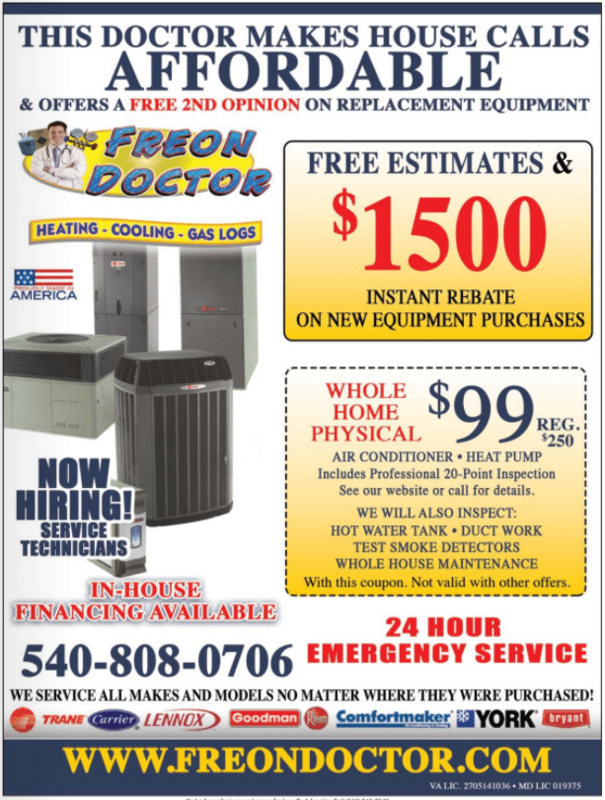 For over 35 years Freon Doctor has provided area businesses and resident expert HVAC service. We strive to provide you with the fastest and most affordable solutions to your air conditioning, furnace or heat pump requirements. We will quickly evaluate your HVAC service situation. Once we have answered all your questions, we will schedule a technician for the first available date & time. Upon completion of the diagnoses, we will advise you as to what HVAC service WE would make as if this was OUR home. No HVAC repair will be started without your FULL knowledge and approval of exactly what we are recommending and WHY. Your complete satisfaction with your HVAC service is our first concern. As the weather warms up Freon Doctor can help prevent AC repairs with our HVAC service checkup. AC service can be costly, our preventive maintenance can help to defray or eliminate costly AC service. If Ac repairs have become more common to your unit, it might be time for a new AC system. Our qualified technician can easily diagnose your AC service problems and make professional recommendations that meet your budget. We are not bragging when we call ourselves AC service experts. During our 35 plus years performing AC services, there isn"t a challenge we have not experienced. Having almost 40 years of hands on experience means we able able to tackle the most complex AC service problems that your system may have. We can quickly diagnose the problem and make expert recommendations to resolve things. No unnecessary AC repairs are ever made. © 2018 FREON DOCTORS. ALL RIGHTS RESERVED.